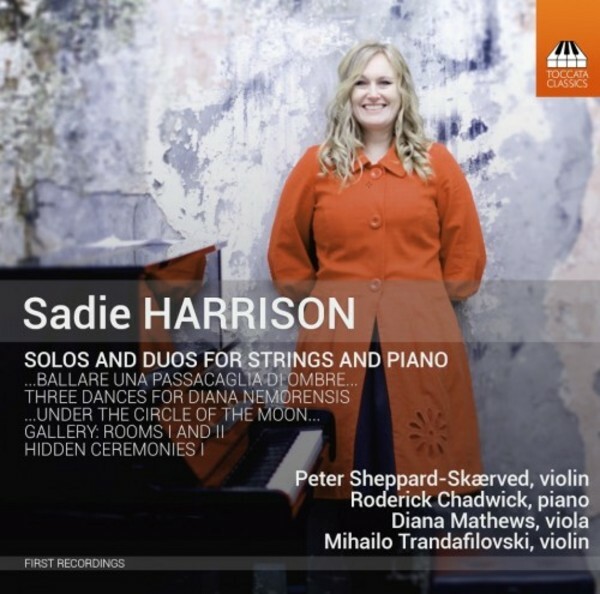 The Australian-British Sadie Harrison is no ordinary composer: she is also an archaeologist and a professional gardener. This CD is released to celebrate her 50th birthday. In view of her other occupations, it is hardly surprising that a fascination with historical artefacts and biological processes filters into her music. The instrumental miniatures on this recording are both reflective and brutal, some of them mirroring ancient worlds and natural phenomena and others taking their starting point in the paintings of Brian Graham and Peter Sheppard Sk�rved, expressing visual and textural ideas in sound. The booklet features some of the paintings that inspired the music. Most unusually, one of artists, Peter Sheppard Sk�rved plays the music inspired by his own painting. Peter Sheppard Skӕrved is the dedicatee of over 400 works for violin, by composers including Hans Werner Henze, Poul Ruders and David Matthews. Among his more than 60 recordings are cycles of solo-violin sonatas by Tartini and Reicha quartets with Toccata Classics. He is the Viotti Lecturer at the Royal Academy of Music, London, where he was elected Fellow in 2013.